It’s a beautiful day and you’ve just finished a few hours of garden work. You’re hot and thirsty so you go to your kitchen tap for a glass of liquid relief. How would you feel if instead of pure water, a government sanctioned, chemicalized, toxic brew filled your glass instead? Sadly, this is exactly what happens in virtually every city in the country. Fortunately, there are easy and economical steps you can take to protect you and your family. A few years back, a Grants Pass City Newsletter pictured the mayor “enjoying” a glass of city tap water to demonstrate the safety of our water supply. Yet in the last 5 years at every City Committee, Commission, or Council meeting that I’ve attended, the only water offered to our City leaders has been bottled or filtered tap water… never water straight from the City tap….why? Before 1908, typhoid, cholera, and dysentery were real threats to populations drinking from municipal water systems. As a response cities began using chlorine to disinfect water because it’s very effective in preventing the spread of most water-borne diseases. However, chlorine is a poison that has many serious adverse effects on human health. It wasn’t until the 1970’s was it discovered that chlorinated water forms Trihalomethanes (THM’s or chlorine by-products) when the chlorine contacts naturally occurring organic matter in ground water supplies like vegetation and algae. There is no debate that THM’s are highly carcinogenic. The National Cancer Institute estimates total cancer rates to be up to 93% higher for people who consume chlorinated water than for people who do not. One published study showed an increase in bladder cancer rates alone of 80% for those consuming chlorinated water. In his book, Coronaries/Cholesterol/Chlorine, Joseph M. Price, MD presents startling evidence that THM’s, are the “prime causative agents of arteriosclerosis and its inevitable result, the heart attack or stroke. I’ve read a letter the EPA wrote to Dr Price that stated his work was valuable and deserved further discussion. 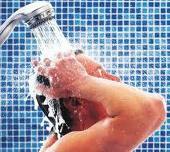 Ta king a hot, chlorinated water, shower may even be more dangerous than drinking it. More chlorine is absorbed directly through the skin, and inhaled in the steam from one shower than is taken in from drinking five glasses of tap water. The heat and steam opens the pores allowing a high absorption of chlorine and other chemicals. Steam from a shower can contain 20 times the concentration of chlorine as tap water. Inhalation of chlorine vapors are a suspected cause of bronchitis and asthma. A report in the American Journal of Public Health links chlorine to increases not only of cancer, but skin irritations and asthma as well. It stated that “up to 2/3 of the harmful exposure was due to skin absorption and inhalation of chlorine from shower water.” The U.S. EPA recently wrote, “Due to chlorine and showering, virtually every home in America also has a detectable level of chloroform gas in the air”. Chloroform is strong respiratory irritant. 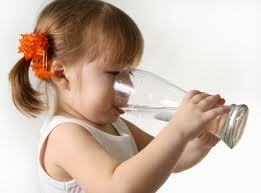 The good news is that chlorine is easily removed from tap water with a simple, inexpensive point- of-use (POU) filter. That may be why our City officials routinely drink filtered water. Any filter is better than no filter, but for drinking water Sunshine has always used, recommended and sold models that meet or exceed NSF standards 42 and 53. For home use, to make enough pure water to be convenient for drinking and cooking, you will want an under-counter or faucet mounted filter with continuous output as contrasted with a pour through pitcher design. 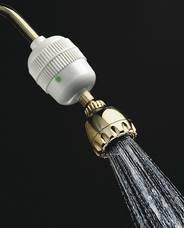 In the shower a simple, screw-on, inline filter attaches between the water line and shower head. Top quality POU filters will provide safe drinking water for as little as about 5 cents per gallon. Often units with the lowest initial purchase price will cost significantly more over time for replacement filter cartridges than units with a higher initial cost containing cartridges designed and certified to last 500-1500 gallons. The higher quality under-counter models can also be connected to a sink-mounted spigot as well as your refrigerator’s water and ice dispensers. Ensuring your family’s drinking and shower water is safe is one of the most important things you can do for your health.